The judge noted that the 2G spectrum cases trial attracted lot of public attention and everyone was curious about the case. NEW DELHI: Special Judge O.P. 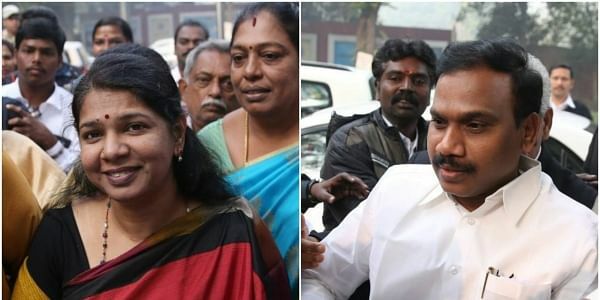 Saini, who oversaw the trial of all 2G spectrum cases since early 2011, on Thursday said his seven-year anticipation for evidence ended "all in vain" because the case was mainly based on "rumour, gossip and speculation". "For the last about seven years, on all working days, summer vacation included, I religiously sat in the open court from 10 a.m. to 5 p.m., awaiting for someone with some legally admissible evidence in his possession but all in vain," Saini said in his 1,552-page judgment. "Not a single soul turned up. This indicates that everybody was going by public perception created by rumour, gossip and speculation. However, public perception has no place in judicial proceedings." The judge noted that the trial attracted lot of public attention and everyone was curious about the case which led to the courtroom remaining overcrowded on each day of its hearing. "Scores of people appeared before the Court and submitted that true facts had not been placed before the court. However, when questioned as to whether they were in possession of any definite material for making such an assertion, almost all of them withdrew and left." He, however, recalled that about a dozen persons filed written applications asking either for further investigation or summoning of additional accused left out by the Central Bureau of Investigation (CBI). "All these applications resulted in dismissal. Still many people kept appearing before the court ... submitting that entire facts were not placed before the court. When questioned about the material in their possession, all were found to be lacking in this. None of them volunteered to be a court witness." The judge pulled up the prosecution that started the case with "great enthusiasm" but became "highly cautious and guarded as to what (it) wanted to prove". He said the "quality of prosecution totally deteriorated and became directionless and diffident". Saini cited a few instances to indicate the CBI's behaviour. He said even several applications and replies were filed but no senior officer or prosecutor signed these applications and left a "junior most officer, Inspector Manoj Kumar," to do that. He said when the senior public prosecutor was asked about it, his usual reply would be that the special public prosecutor would sign it. When the latter was questioned, he would say that "CBI people" would sign it. The judge said when final arguments started, the prosecutor had promised to file written submissions but argued the matter orally for several months. The prosecutor, he said, filed unsigned written submissions even after "great efforts had to be made to persuade" him. "What is the use of a document in a court of law which is not signed by anyone?" "Many more things can be said but that would only add to the length of the order."